“If we can’t afford something we can potentially scale back, but I am not going2to kick a half million people off of health insurance on day one,” Conway said. Bevin said that he wouldn’t kick people off insurance, but rather to do away with the state-run health insurance exchange, Kynect, and move recipients onto the federal exchange. Bevin also said he would eliminate the state’s expansion of Medicaid. More than 521,000 people signed up for Kynect in the first year of enrollment—about 400,000 signed up through the expansion of Medicaid. Kentucky’s share of Medicaid costs will grow over the next few years as the introductory period of the Affordable Care Act phases out and states shoulder more of the system’s costs. Bevin said that Kentucky won’t be able to afford it. “If you offer something to people that you know you can’t pay for, you’re lying to them. That’s cruel. That’s inappropriate,” Bevin said. Bevin also criticized a recent study touted by Gov. Steve Beshear that said Medicaid expansion had created 12,000 more jobs in Kentucky and will create $40,000 new jobs and $30 billion to the state’s economy through 2021. Bevin and Conway, who both live in Louisville, stressed their agricultural roots during the forum—Bevin highlighted his experiences growing up on a farm and Conway talked about his family’s roots in Union County. Conway accused Bevin of not supporting farm subsidies, saying Bevin railed against the farm bill during his 2014 senate campaign. Bevin has called for drug testing welfare recipients. 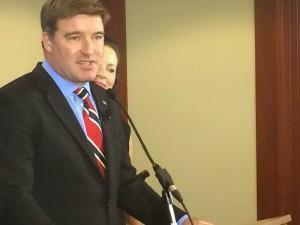 The state's most prominent democrats are rallying behind Jack Conway for Kentucky governor. That sentiment was expressed during a Frankfort gathering Tuesday night, just minutes after the polls closed. 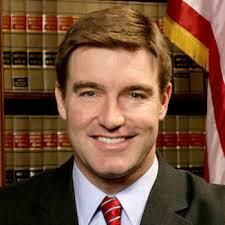 Jack Conway, in his run for governor, is seeking to advance to a higher office for the third time in his career. The 45 year old Louisville native has been involved in politics for much of his adult life. Conway has a political past. At age 25 he joined Paul Patton's gubernatorial campaign and served in the Patton administration. The two term state attorney general also made unsuccessful runs for Congress in 2003 and the U.S. Senate in 2010. Now, he has his eye on the governor's mansion.